Attention! 2018 – 2019 Junior High and High School Yearbooks are now ready to be ordered. If you are interested in ordering a yearbook, please follow the directions below: Price : $45 for HS Yearbooks (+$5 to have your name engraved on the cover) $22 for JH Yearbooks . . . ATTENTION, GRADUATING SENIOR PARENTS AND GUARDIANS! The journalism class is now accepting senior ad orders. 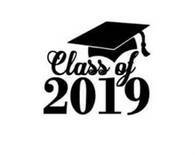 If you are interested in ordering a senior ad for your graduate, please follow the directions below: Price : $20 to have your ad appear in the advertising section of the HS yearbook (Checks . 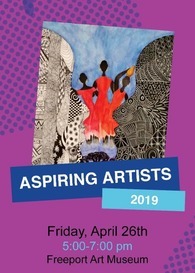 . .
Aspiring Artists 2019 April 26th to May 18th Celebrate the artistic talent of K-12 students from Freeport and surrounding communities at the annual Aspiring Artists art exhibition. This year's jurors are Rosemarie Brubaker, superintendent of Aquin Catholic Schools, Jennifer De Jong, principal of Jones-Farrar International Baccalaureate World School, and Travis J. Heinz, . . .
Congratulations to Forreston High School Music Department under the direction of Choir Director Mrs. Crase and Band Director Mr. Cunningham for finishing in Third Place in the IHSA Class C Music Sweepstakes Championship! Congratulations to all and great job! Congratulations to Seven Gilligan at the HCC Arts Show! Seven Gilligan won the Best of School award at the 49th annual juried art show at Highland this year. Seven's artwork can be viewed at Highland's gallery until May 2nd, 2019. The gallery is located in the Ferguson Fine Arts Center, 2995 West Pearl City Road in Freeport. Well done Seven! FORRESTON IS IN THE TOP 10! The Illinois State Board of Education provided an EXEMPLARY designation to Forreston Schools with the recent release of the Illinois School Report Card. 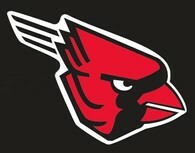 There are 3,777 high schools and K - 8 schools in the state of Illinois. "Exemplary Designation" was only given to 68 high schools and 308 elementary schools statewide. This designation is based on the results of PARCC . . .